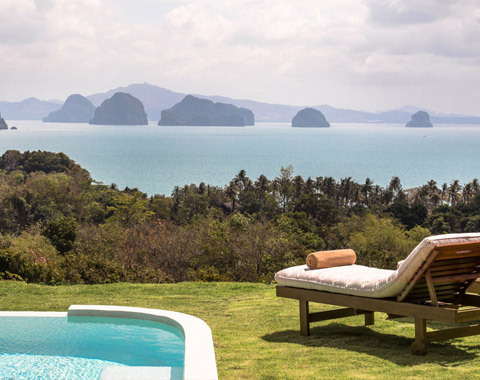 The 9Hornbills Panorama Tented Pool Villas, a few minutes by foot or our tuk tuk service away from Koyao Island Resort, overlooks the stunning Bay of Phang Nga with its famous limestone islands. whilst also being able to utilize all of the resort facilities of Koyao Island Resort. Enjoy wonderful panoramic ocean views from this luxury safari style tents, with a private pool and terrace lounging and alfresco dining.